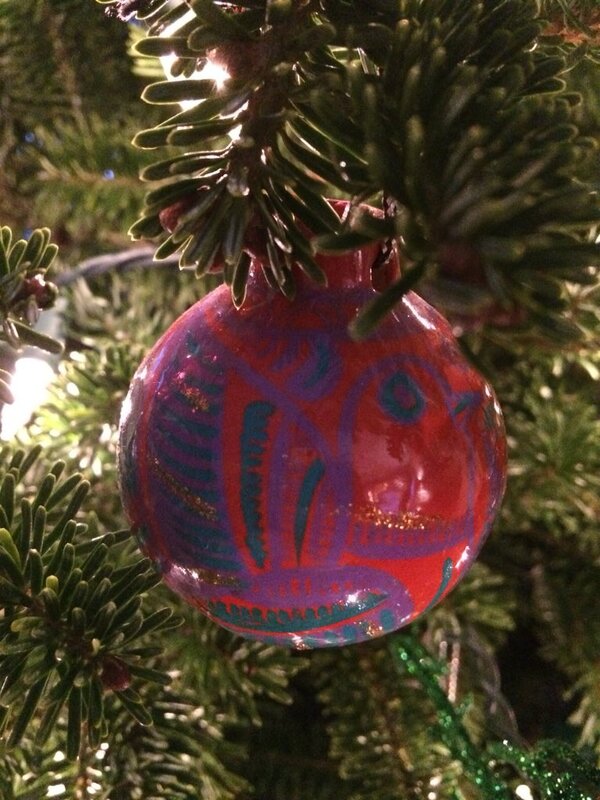 Last year, almost to the date, I wrote about my five favorite ornaments on our Christmas tree. With another holiday season now underway at the Reser household, I decided what better way to truly embrace this special time of year than to write a similar blog post? On this Sunday, I would like to present The Special Ornaments on Our Tree, Part II. With one exception, this list features different decorations from last year. Seasons Greetings and enjoy! 5. 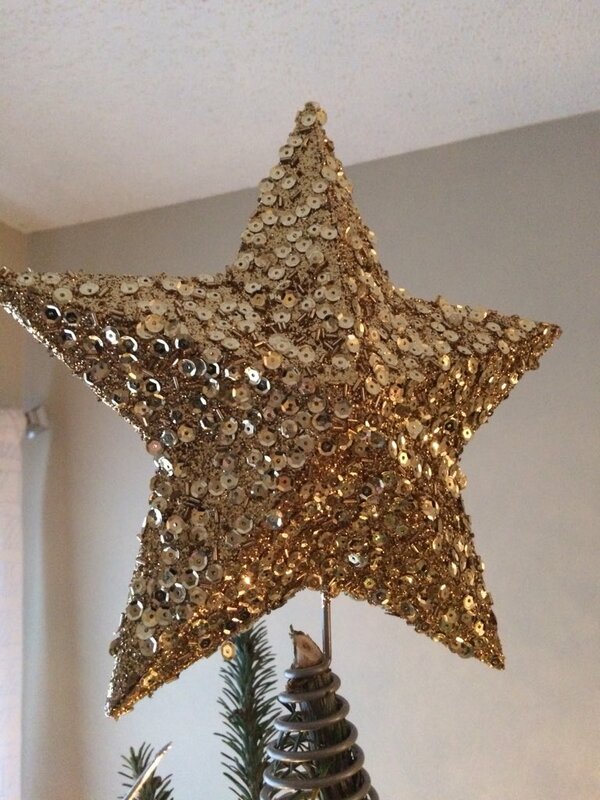 Star Topper – Last year, we simply did not have something, such as a star or angel, gracing the top of our tree. Well, Santa called us last week and told us that if we don’t finish off our tree the right way, he might consider passing our house on Christmas Eve. My mother-in-law, not wanting Sloan to miss out on a home visit from Santa, got us this gold and glittery star. It is the perfect addition to this year’s tree. This is the star that now sits atop our tree. 4. Our Initials – I had no idea that people put letters on their Christmas trees until I met Sidney. She explained that it is custom to put the first letter of the names of the people living in the household on the tree. 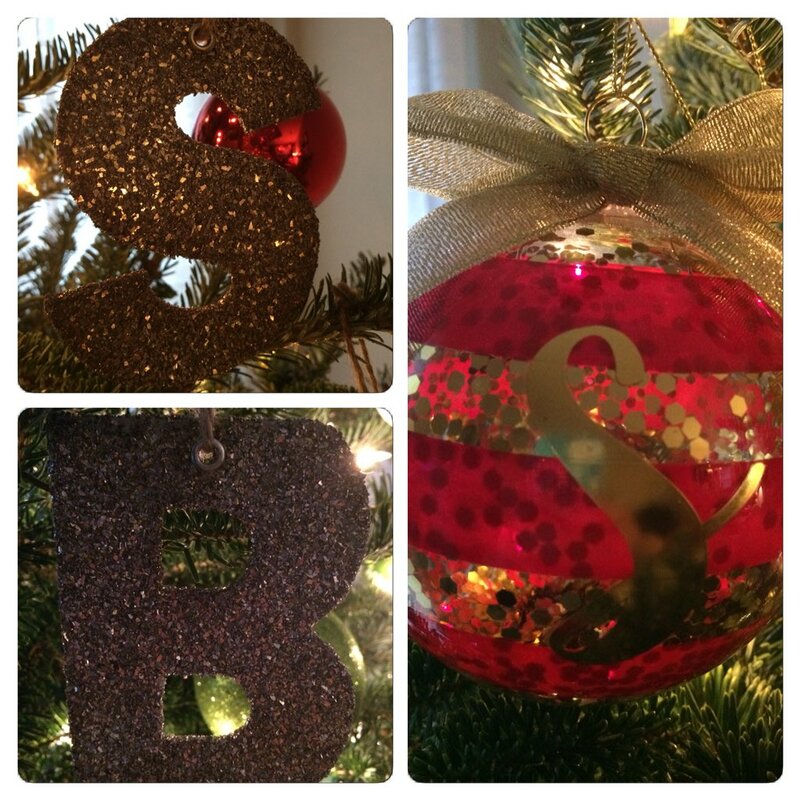 Thus, we now have two “S’s” and one “B” hanging on our tree. We got these ornaments when we visited a Charlotte mall last year. The initials of our family helps to decorate our tree. 3. We Are Expecting Snow People Family – Yes, I know, I know, this ornament made last year’s list. However, if you remember (or if you just want to click here), a portion of this ornament was blocked out in the blog post. Because we didn’t reveal the name of our daughter until after she was born, we obviously didn’t reveal it in Don’t Blink. With Sloan now happily part of our family, I can take away the Photoshop and show the ornament in its full glory! This will forever be an extremely special part of our tree. I can now reveal our “We Are Expecting” ornament in its full glory. 2. Mexican Ornament – This ornament comes from the land of Mexico. We bought it at a bustling flea market in downtown Cancun during our honeymoon. However, last year we couldn’t find it to put on our tree. We had packed it away and simply forgot where we stored it. Well, it resurfaced earlier this year and we now have some international flavor on our tree. More than just the foreign land appeal, it is a symbol of a very special and fun time that Sidney and I shared. We brought back this ornament from our honeymoon in Cancun. 1. 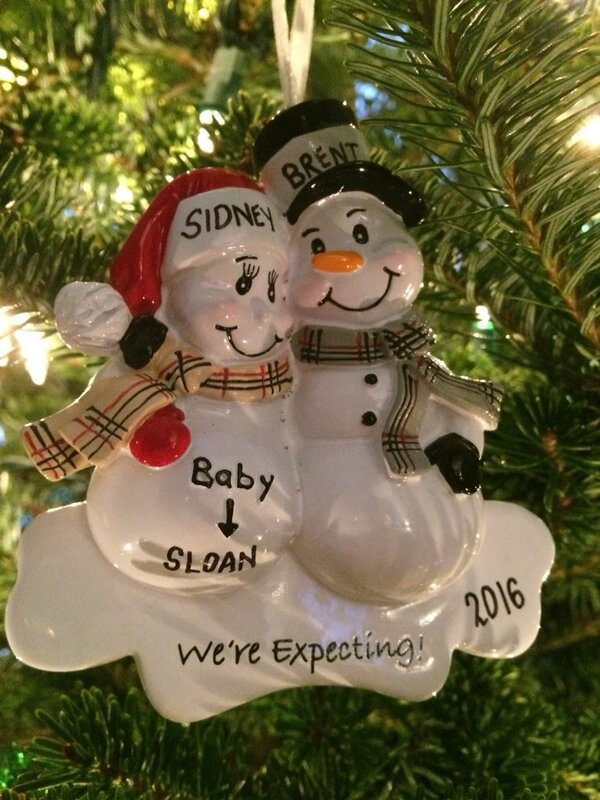 Sloan decoration – No doubt about it, this is the cutest and most special ornament on our tree. 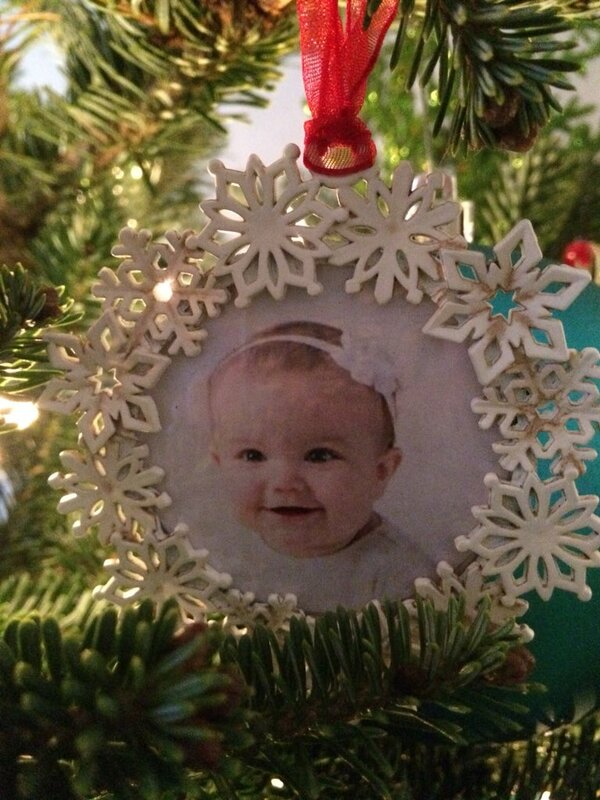 Sidney took one of the images from Sloan’s photoshoot last month and made it into a Christmas ornament. It hangs not too far from the ornament of toddler Sidney that made last year’s list. It warms our hearts to see our little girl grinning at us through the pine needles and lights. Thank you, Sidney, for making this. Nothing is sweeter than seeing this sweet girl smile at us from our tree. Although we already have more tree decorations than we could possibly need from Target, my hope is that each year we can continue adding one or two sentimental ornaments. Thanks for taking a tour of our little tree and I hope the decorations that hang on yours bring plenty of joy and memories. Don’t Blink. This entry was posted in Uncategorized and tagged Christmas, Christmas tree ornaments, initials on Christmas tree by brent. Bookmark the permalink. Brent, a tradition my parents did for me that was so great we are now doing with Finn, is this: Every year, the parents pick out an ornament that represent’s the kid’s year and it shows up on the tree Christmas morning. Last year was a pterodactyl because those were the noises he always made. This year will be a tonka truck because he is obsessed! They are on our tree for now but once Finn is older and moves away, he will have his own set of ornaments! We always loved talking about “our” ornaments when we decorated the tree every year and now have so many sweet memories because of them. Plus it was very nice to have a decent set of ornaments to start my own tree! Something to think about since it is Sloan’s first Christmas!